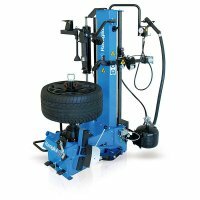 The G7246 "Speedchanger" is our large high performance swing arm tire changer for the high volume tire center. Exclusive 220V variable turntable speed motor provides needed torque for handling today’s difficult assemblies. True variable speed control allows operator to match turntable rotational speed with the job at hand. From less than 1RPM up to15RPMs are controlled via foot pedal, like driving your car. 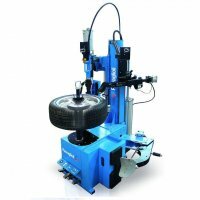 The machine's frame is large and reinforced to grant the utmost rigidity to the structure and clamping table. The gear box is installed between two steel plates to avoid flexing during operation. 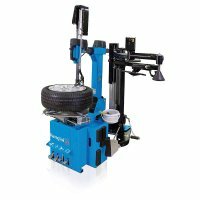 The extra height of the vertical post and tool shaft allow operation on tires to a maximum of 16” (381 mm) width. External Clamping 10" - 28.5"
Internal Clamping 12" - 30"
Find out why the Ravaglioli G7246 Speedchanger is the perfect changer for your shop by talking to the professionals at AETechnologies Inc. Call 1-877-RING-AET or 570 639 2344 for information or special pricing today!